Because so many of you have been requesting to join the now full Pursuing Portraits Online Class, I’ve decided to go ahead and create another classroom for you! This classroom will open on March 1st and remain open for 6 months. I will begin processing all registrants next Monday as I’ll be away visiting my new little 2nd grandson. You’ll receive the classroom invitations on March 1st. Journal your way to a self portrait that reflects your true self. 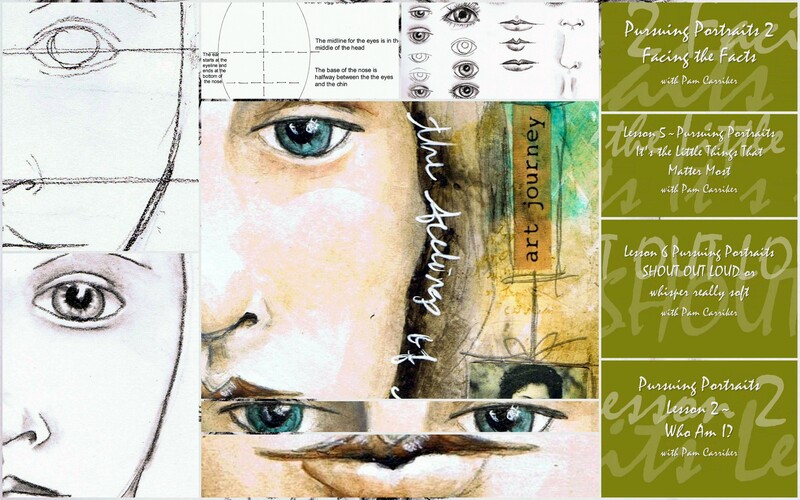 During this 6 week course you will work in the comfort and safety of your own Art Journal. This will be an exploration of our own self and the face that we see in the mirror each morning as we dig deep to find what lies behind the face that we show to the world. Your face may not even look like you, but it will be representative of the inner you. I will show you the techniques I use in my mixed media portraits and guide you towards creating a face that is uniquely yours. Sketching basics, learning how to draw a face and where everything is supposed to go. I am going to be unveiling a brand new portrait workshop this June! It will be the most inclusive one to date and cover everything I’ve been working on since Pursuing Portraits 1. I’m very excited to be sharing where the journey has taken me with all of you! This is a one time event so I hope you’ll consider joining me. Thank you so much for your kind words Judy:-) I love teaching and I’m always hopeful that it shows through even in an online class. I hope to meet you at Art Is, I’m really looking forward to teaching there again! Your passion shows. I’m taking a class with Mary Beth in CT.. I will definitely introduce myself. Can’t wait! 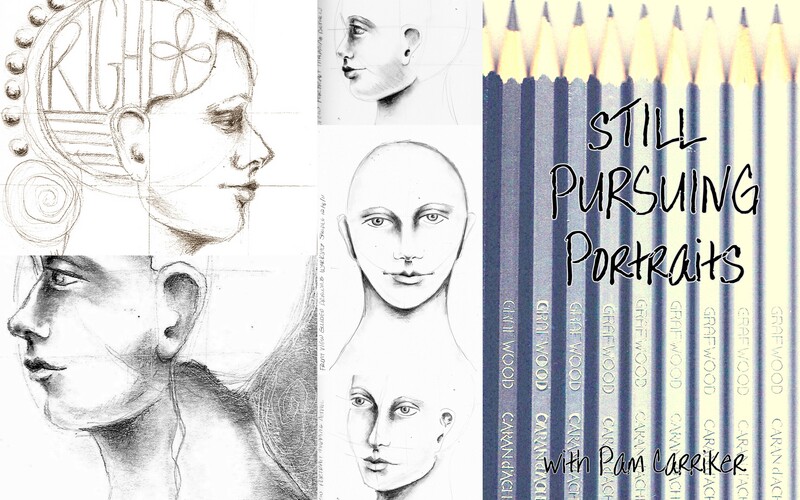 I am so excited about the Pursuing Portrairs class! I think I asked you about it a short while ago, but between fibro fog and cognitive lapses (my doctor’s term), I may have just thought about asking you. Anyway, I am happy. I’m so happy ! It was closed by the time I tried to register so I was disappointed, but not anymore ! Thanks for reopening the Pursuing Portrairs class. I really wanted to take it as my birthday present, but did not get signed up in time. I signed up today as soon as I saw it reopened, and Happy Birthday to me on March 1.